The DMR Death Grip is the second collaboration between DMR bikes and Brendog. DMR started with an internally tapered single-lock core grip and wrapped Brendans design around it in super-soft Kraton compound. Love these, easy to fit, comfy and secure and hardly notice them on the bike. Installed these to replace my worn out ergon grips. Not bad all. Good diameter for my big hands and a nice amount of plushness to them. Very comfortable grip, I think most comfortable I ever used - many different patterns for grip and comfort, very nice even without the gloves... I hope they will last long (they should, as they look robust!) Highly recomend. Bought these to replace the stock cannondale grips and what a difference. Great grip with different texture in different sections. Very pleased. Makes a fantastic difference to the general feel of the bike for a small outlay. Name alone is worth the price! Love my death grips. 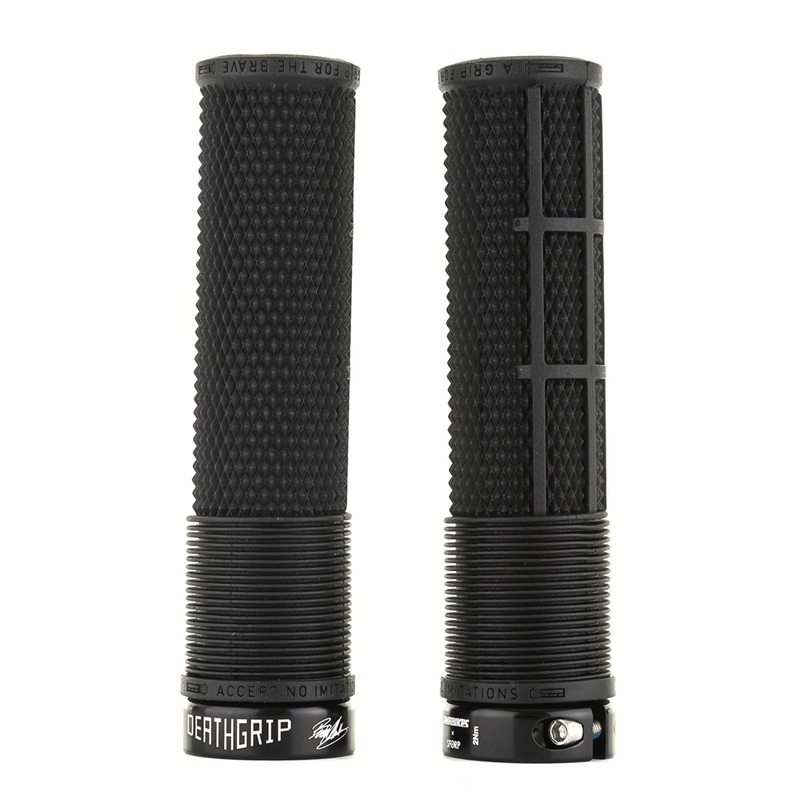 They are easy-on, lock tight and provide a grippy and tacky handhold. Best grips I have ever had. Very good Grips, soft enough to provide the good grip, hopefuly they will be also durable. Mushroom feels very comfortable. I suggest to match the colors in real day light, internet pictures can be a little different. In my opinion product is worth the money. Very nice grips, go on easy enough just give them a bang on the end. Have run ODI grips for years, but feel these are much better and half the price!